For those of you still looking to pick up some savings on the MyTouch courtesy of our friend Oprah, the offer is no longer on the table. Quantities were limited on the deal and news has come down that the offer is no longer valid. This was an awesome little offering and while we are sorry it’s over, the pro-active showing T-mobile exhibited here to advertise its flagship product is hopefully going to be transferred over the Cliq launch as well. 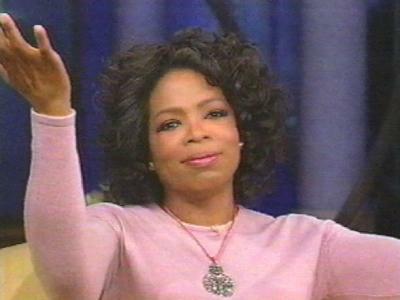 Oprah, we wish you great luck on the 24th season and I’ll secretly be tuning in while the girlfriend sleeps, maybe. Is anybody actually still interested in the mytouch 3g? With the cliq coming most people have already moved on to it. But to each his own I guess. Is the cliq confirmed to have uma? nobody cares anymore. The Cliq or the Hero is the NEW thang!! The MT3G should have been $100.00 when it first came out, and it should be $100.00 now. It is not worth the $200.00 they are asking for it. I called T-mobile today to see if they would still honor this out of good faith. Some people said yesterday they still were, but today I even spoke to retenions and they would not budge. They did tell me that the myTouch will drop to $149 on 9/24 though, I’m guessing to make way for the Cliq.